This book gathers the most recent advances in this area, and will benefit biologists and physicists alike. Lionel Foret.- 16. Common energetic and mechanical features of membrane fusion and fission machineries.- 17. Interaction of particles and pathogens with biological membranes.- 18. 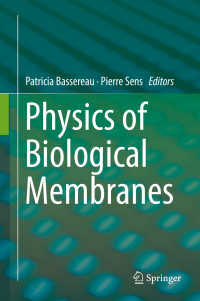 Adhesion of biological membranes.- 19. Spatial and mechanical aspects of signal transduction in the cell membrane.- 20. Protein-Induced morphological deformations of biomembranes.- 21. Fluctuations in active membranes.